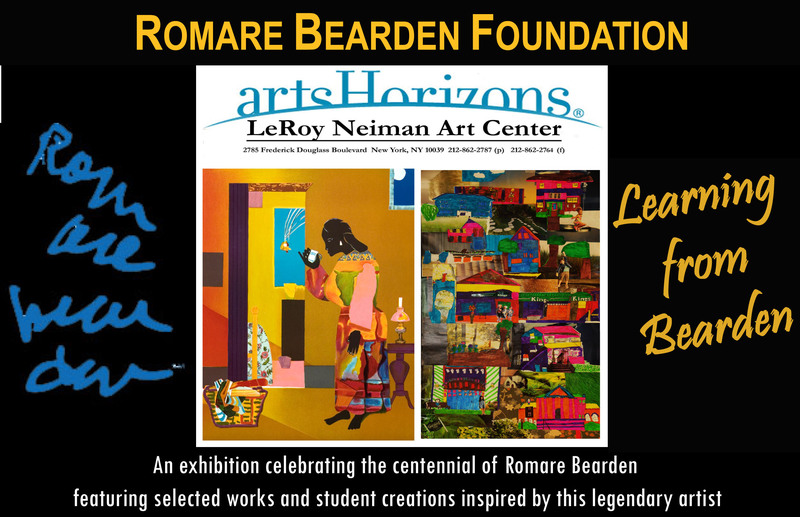 Arts Horizons LeRoy Neiman Arts Center partnered with the Romare Bearden Foundation for Learning from Bearden, a special exhibition. Celebrating American master Romare Bearden’s influence on artists of all ages, Learning from Bearden features original, rarely exhibited works by Romare Bearden and Bearden-influenced works created by toddler, teen, and adult students from the LeRoy Neiman Art Center and beyond. The Exhibit will be on display for a limited time only!